Easily create custom layouts and headers without any coding experience. Choose from one of the page templates already built in or create your own. Keep your branding consistent with your choice of colors and Google fonts. Embed iframes and other types of code easily with the html module. Integrate 3rd party services like online giving, forms, church management software and more. Get found easier online with our built in SEO tools. Harness the power of in-depth, real-time analytics from Google and learn more about your audience and how to reach them more effectively. With our custom domain mapping tool you can use your own custom domain while using our website builder to power your website. Every website is monitored 24/7/365. No need to worry. Hosted on AWS, our servers run on high-end state of the art solutions that keep your page load times fast and your information accessible. 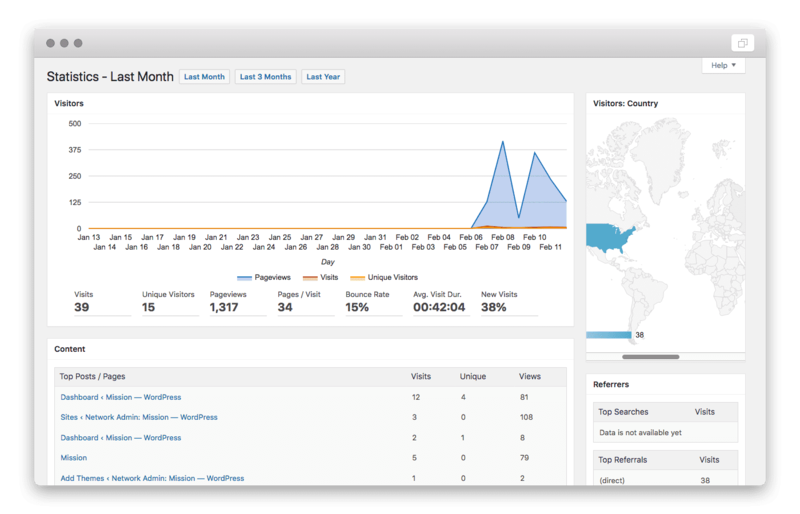 100's of video tutorials in your dashboard let you learn how to use every piece of your website quickly and easily. Need some help? We have you covered. Our 2nd tier support team is ready to help answer any questions. 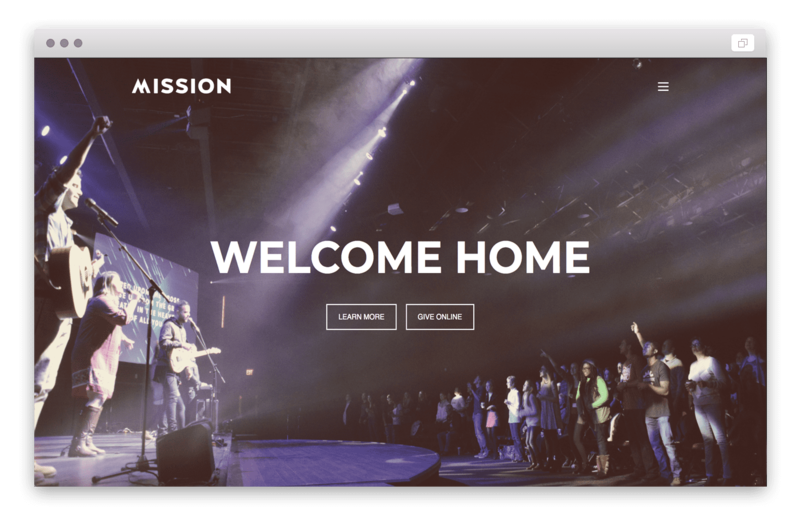 What makes mission different from other church website builders? Mission was designed specifically for churches, ministries and ministry leaders. With decades of ministry experience, our church creatives have spent hundreds of hours designing the perfect web design platform for any church to have a high-quality website that they can be proud of. 10% of our earnings go back to supporting and planting churches. So when you use Mission's platform you are also planting a seed in another ministry at the same time. Mission is designed specifically for churches, ministries, and ministers. We brought together decades of ministry experience and website design and put together a web design platform that is custom tailored for ministries to excel in every aspect online. I'm a business. Can I still use Mission to build a great website? Yes! We love small businesses! Mission can be easily customized for any business to have a great looking website. With our drag and drop editor, customizable colors, fonts, and layouts you can build anything you can dream up. Also, you can use your own domain to have your own branded website without anyone knowing you are using Mission's web design platform. Do I need any experience in building websites? No. Mission was designed for someone with very little to no experience building a great website. When you create your website for the first time you will have access to video tutorials giving you a simple crash course on how to use your website quickly and easily. If you have experience building websites you'll love Mission's web design platform. You will be able to build some really advanced layouts. Is my website responsive to other devices? Yes it is. Mission is designed to be 100% responsive to every device meaning that it will look great on all desktops, laptops, tablets and smartphones. Yes, you can. In the dashboard, there is an option for you to use your own domain using our web design platform. You would simply update your "A" record with your hosting company and your custom domain is up and running on your new website. What about connecting other 3rd party services? You can connect your third party services like church management software, embed codes, iframes and more on any page and any section. You can also create links that go your service that you would like to use. Almost every third party service now has responsive pages so your end user can have a similar experience like your website. We don't offer email because frankly, email is very affordable and even free. We have decided to keep our focus on providing our customers with the best church website builder and website design experience possible. You can connect services like Google mail, Office 365, Zoho mail and more through your domain registrar. Just contact your registrar and they will be happy to help you set that up usually free. What kind of support can I expect if I need help? Our support is by chat and email only. We pride ourselves in great support and offer friendly and knowledgeable video tutorials and setup documentation. Click here to visit our support page to get help with your website or just say hello. All of our monthly subscriptions are connected through stripe and are month to month. If your payment information is incorrect you will not have access to your website and you could experience downtime until it is updated. We offer a 30 day 100% money back guarantee. We understand we may not be the perfect fit for everyone so we encourage you to do what is best for your community. There are no contracts of any kind. We are a month to month subscription. You are free to cancel at any time. If you cancel however you will no longer have access to our church website builder or your website and all of your information and files will be deleted. We cannot recover them once you cancel. If you want to cancel you can simply go into your dashboard and cancel your membership in your account information.